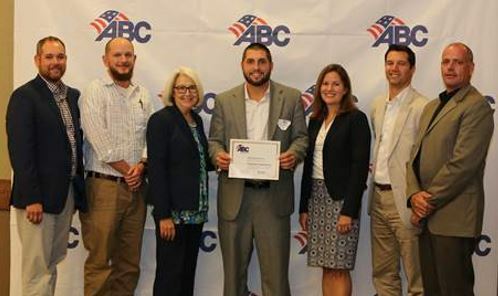 The Carolinas Chapter of Associated Builders and Contractors (ABC) honored Tradesmen International with the 2017 Gold STEP Award during their annual Safety/HR Conference on September 13th. The Safety Training and Evaluation Process (STEP) awards recognize companies whose safety performance and programs are judged to be exemplary by the ABC National Environment, Health & Safety (EH&S) Committee. Awards are granted by ABC National based on 20 key elements of a company’s safety program that focus not only on exceptional safety performance, but in how they structure their safety program to achieve world-class results. Safety is Tradesmen’s #1 Core Value. Nothing is more important than jobsite safety and knowing that our men and women in the field get home safely to their families every night. We couldn’t be prouder to win this STEP award as it represents a high level of achievement in the field of safety and our ongoing commitment to creating safe working conditions for our employees. Learn more about Tradesmen International’s Safety Program here.